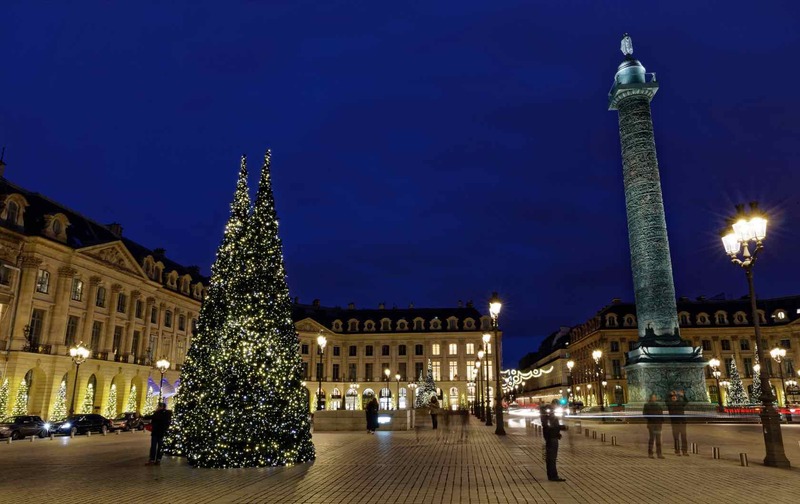 Christmas in France is every Francophile’s dream. The food, the lights, the traditions–it’s easy to understand why they call it the most wonderful time of the year. But we’re going to let you in on a little secret: you can recreate these French Christmas traditions right at home. 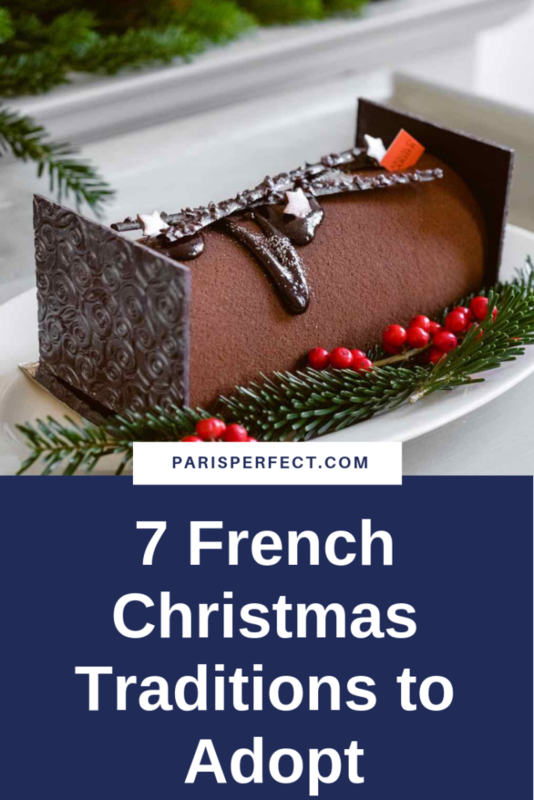 Here is our list of seven French Christmas traditions to adopt, from the most traditional to their most modern incarnations, to be celebrated whether in your Paris Perfect apartment or your own home. 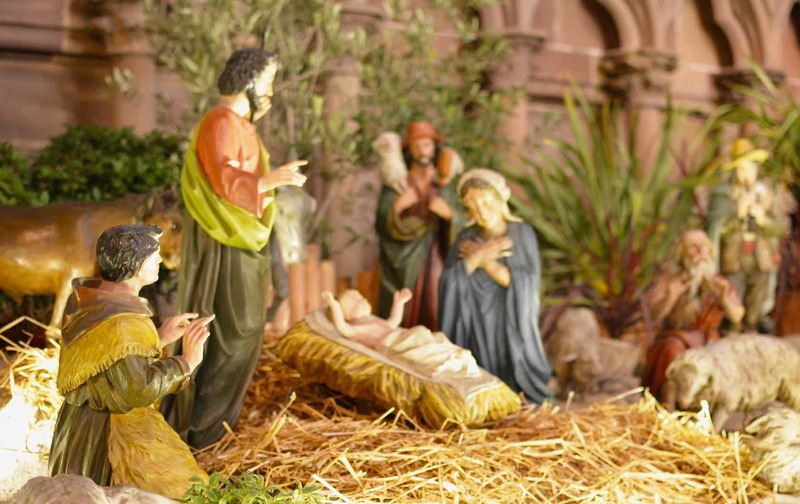 Other Christmas decor is negotiable (and becoming more and more popular), but one thing every French home has at Christmastime is the crèche, or Nativity scene. These aren’t your average church nativity scenes. Many feature entire villages aside from the traditional manger scene, particularly in Provence where there are many stands at each Christmas market selling the little figurines. Advent calendars are a big deal in France. Children eagerly await the 1st of December to open the first door, usually because there are chocolate or candy treats hiding behind it. 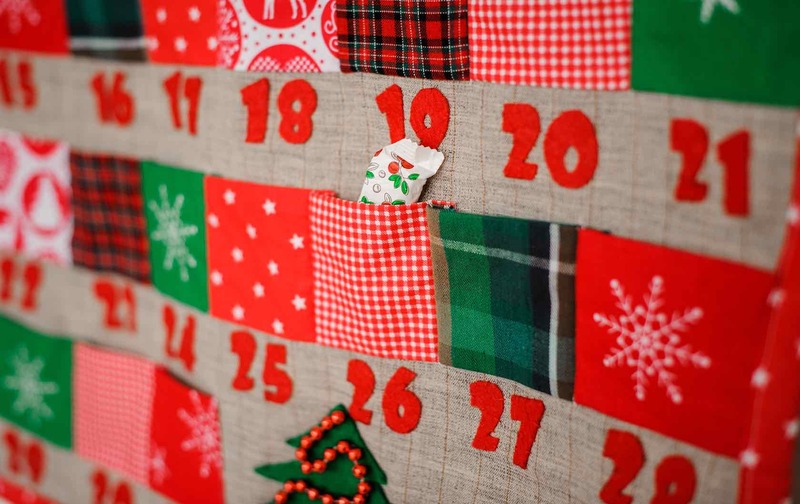 Many larger companies have also adopted the Advent calendar idea for adults, filling the boxes with everything from skincare products to candles, and they’ve become a popular gift to give at the beginning of the holiday season. The marchés de Noel, or Christmas markets, are an important part of the French Christmas tradition. Beginning usually the last weekend of November and continuing until Christmas Day or into the New Year, little wooden stalls pop up in the center of villages and cities all over the country. Not only can you buy festive treats and decorations here, you can often find smaller producers selling their high-quality goods in holiday packaging. The most popular are in the Alsace region. There are seven markets in the city of Strasbourg alone! Each market and city has its own distinctive flair, giving you the chance to buy regional goods. 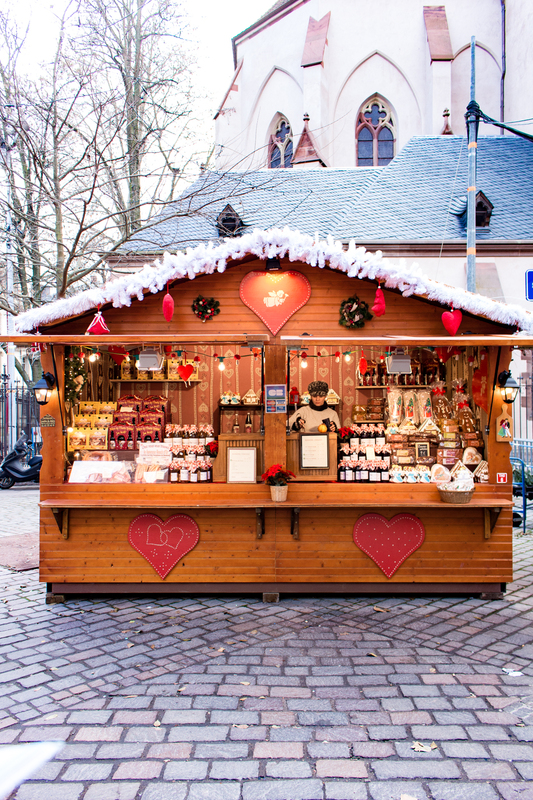 If you’re looking to recreate the idea behind the Christmas markets at home, seek out small businesses and local artisans for gifts that are both unique and good for the community. If you’re looking to pull out all the stops for a French Christmas dinner, make sure you’re doing it on the right day! The biggest meal of the holiday is usually eaten on Christmas Eve, known as le Réveillon, instead of on Christmas Day. The starters often consist of foie gras, oysters, or escargots, followed by a bird–often a capon or turkey–and finishing with the bûche de Noël, or Yule log, as well as other treats like chocolates and nougat. All washed down with wine, it’s a wonder the French ever make it to midnight Mass afterward. While in places like the United States you’ll find most churches packed to the brim on Christmas morning, in France those who do choose to go to church will go to the midnight mass on Christmas Eve. Many churches will have a small reception afterward, and it’s a convivial moment between the people of the church community before returning home, either to sleep (for those without kids) or open presents (for those with impatient little ones). 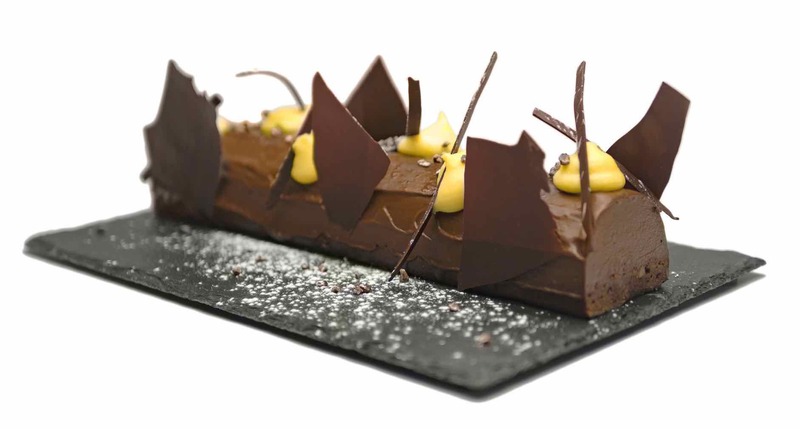 The Yule log, or bûche de Noël, has come a long way since its origins as the literal log families would burn on Christmas to bring good luck in the new year. The current incarnations are like a seriously fancy Swiss Cake roll, and the master pâtissiers (pastry makers) in Paris are often incredibly creative with each new iteration. It’s the perfect festive Christmas dessert! 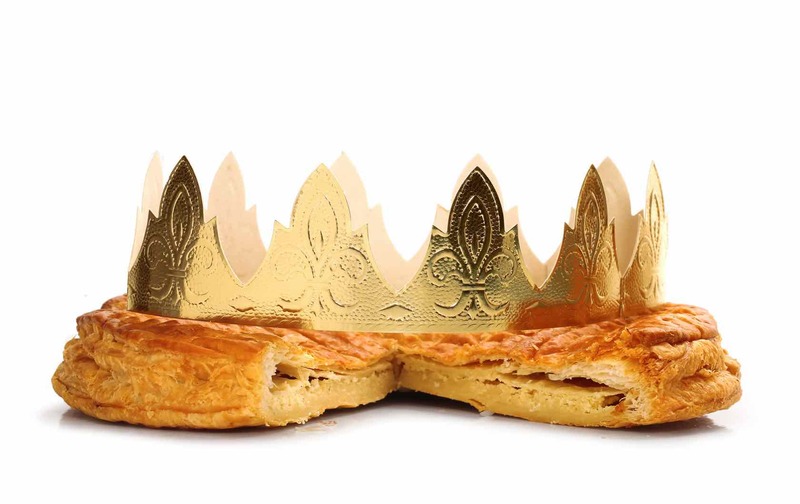 The official end of the Christmas season is the Fête des Rois, or the Three Kings’ Day (Epiphany to US folks), and is celebrated here with the galette des rois, or king cake. It’s a flaky pastry generally filled with frangipan (an almond cream), and hidden inside is a fève (tiny baby figurine). Whoever gets the piece with the fève gets to be the king or queen for the day. Literally most bakeries sell the cakes with a paper crown. While in the US this tradition is more typical of Mardi Gras, why not start the party a little early this year? 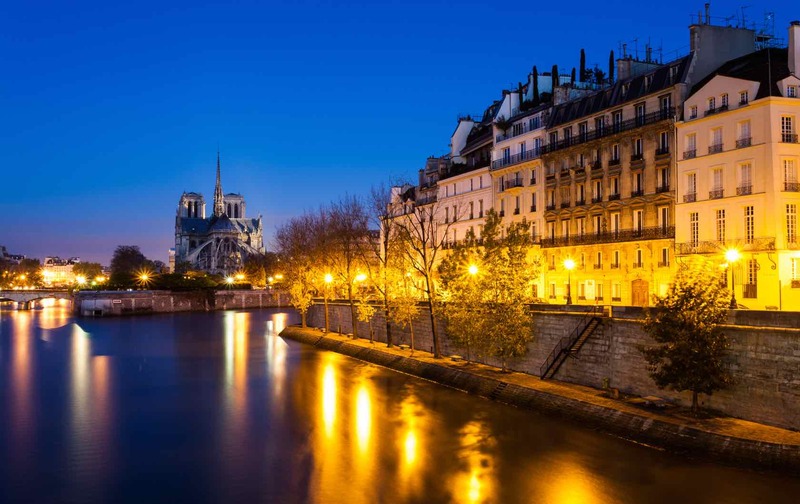 If you’re looking to live out these traditions by spending the holidays in Paris, check out our most family friendly Paris Perfect apartments! Each has 2-4 bedrooms, meaning everyone can sleep in comfort and be well rested to open gifts on Christmas morning (or sleep well after the excitement, if you open gifts at midnight like the French). Call 1-888-520-2087 from the USA or email [email protected] for our apartment reservation team. NEXT: Own Your Dream Apartment in Paris at an Affordable Price! Posted on Tuesday, November 27th, 2018 at 11:55 am in Parisian Living. You can follow any responses to this entry through the RSS 2.0 feed. You can skip to the end and leave a response. Pinging is currently not allowed. Heartwarming Holiday Traditions in Paris Christmas Market on the Champs-Elysées Christmas Charm in the 7th Arrondissement Joyeuses Fêtes from Paris Perfect!